Money Laundering, or its more formal term “Financial Facilitation”, is one of the more serious forms of “White Collar Crime” in New Jersey. The term Money Laundering, typically gives rise to thoughts of drug money. While Money Laundering charges can often involve the “washing” of drug money, it can also refer to a variety of other criminal activity. Money Laundering is not resigned to just one underlying form of criminal behavior, but instead refers to the general facilitation or transfer of “dirty money” from one place to another. The severity of these charges and the degree of the offense will vary depending upon the amount of money involved. In certain situations, Money Laundering charges could carry up to twenty (20) years in a New Jersey State Penitentiary. That twenty (20) year prison term would be for just to single charge and would be subject to a drastic increase if you are facing additional charges for crimes like Theft, Extortion, Drug Distribution, Credit Card Fraud or Forgery. With all of these factors possibly working against you, it is imperative that you consult with an experienced New Jersey Money Laundering Attorney. The County Prosecutor or State Attorney General will prosecute these types of crimes with the full force of the law. For more information, please do not hesitate to contact our office. The criminal defense attorneys at Proetta & Oliver have spent their careers defending those accused of serious criminal charges throughout New Jersey, including Burlington County. If you are facing criminal charges involving Money Laundering, then you are facing an uphill battle. Not only will the possibility of a long-term of incarceration, if convicted, but the State may also attempt to have you detained for the period leading up to your potential trial. These Pretrial Detention Hearings occur at the beginning of your case and are a crucial part of your defense. For an immediate and complimentary consultation with a Firm Partner, please contact our office directly at (609) 850-8284. We are available day and night for your convenience and we handle cases throughout the area, including towns like Mount Holly, Evesham, Mount Laurel, Cinnaminson, Florence, Bordentown, Burlington Township, Medford, Southampton, Pemberton, Riverside, Maple Shade, Palmyra and Delran. Please do not hesitate to call with any questions or concerns about these charges. Can I Go To Jail for Money Laundering in NJ? If the amount of “laundered money” alleged in the charges exceeds $500,000.00, then the Defendant will be facing First Degree Money Laundering charges. 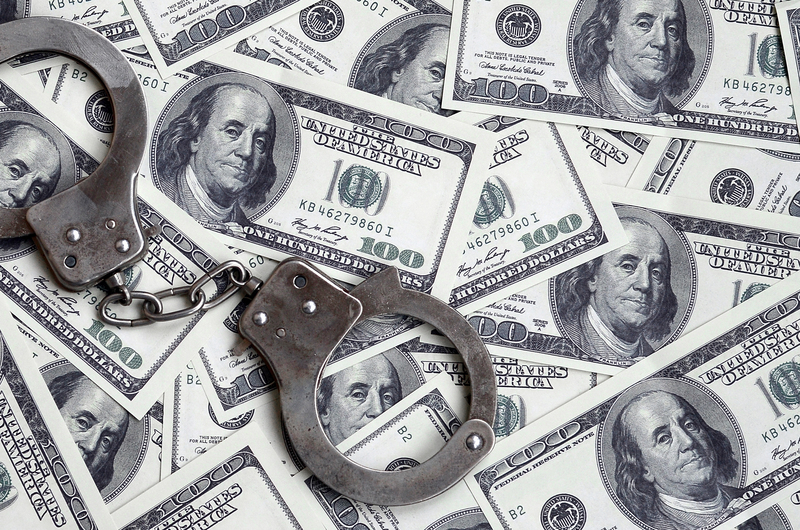 If convicted of First Degree Money Laundering, then the Court may sentence you to a term of incarceration between ten (10) and twenty (20) years in a New Jersey State Prison, along with a fine upwards of $200,000. If the amount of “laundered money” alleged in the charges exceeds $75,000 but is less than $500,000 then the Defendant will be facing Second Degree Money Laundering charges. If convicted of Second Degree Money Laundering, then the Court may sentence you to a term of incarceration between five (5) and ten (10) years in a New Jersey State Prison, along with a fine upwards of $150,000. If the amount of “laundered money” alleged in the charges is less than $75,000 then the Defendant will be facing Third Degree Money Laundering charges. If convicted of Third Degree Money Laundering, then the Court may sentence you to a term of incarceration between three (3) and five (5) years in a New Jersey State Prison, along with a fine upwards of $35,000. Money Laundering charges are often complex and difficult cases to defend against. They may involve long “money trails” and possible search warrants into your bank accounts. Whether your charges are part of a large-scale drug operation or a financial institution, it is imperative that you understand fully how to fight these types of criminal cases. If the State’s case against lacks strong proofs or evidence, then you may be eligible for a downgrade of your charges or possible dismissal of your charges through a Diversionary Program like Pretrial Intervention. Moreover, you as part of the arrest and criminal charges, your property may be subject to seizure and forfeiture. If you or a family member have pending criminal charges in Burlington County or elsewhere, please do not hesitate to contact our office immediately at (609) 850-8284. We can be reached 24/7 for your convenience and we will gladly discuss what options you have in fighting your pending criminal charges.